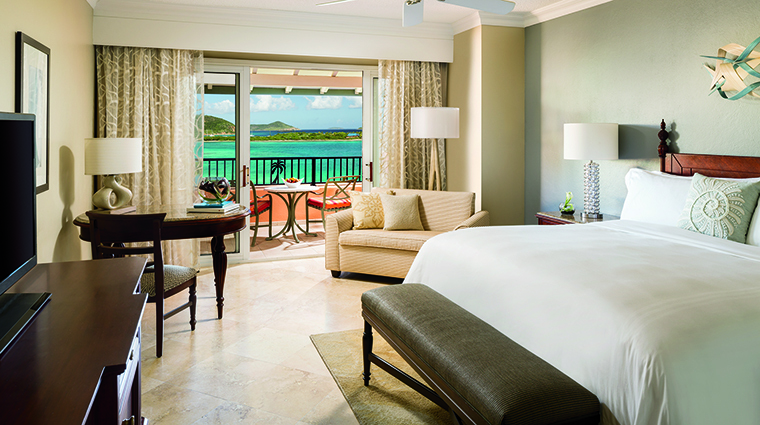 Editor's note: The Ritz-Carlton, St. Thomas is closed for post-hurricane renovations and will reopen in fall 2019. 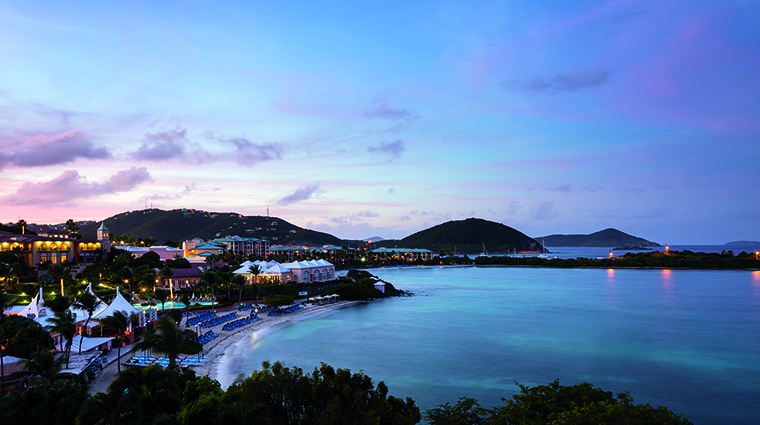 While St. Thomas’ hilly island is built on ups and downs, The Ritz-Carlton, St. Thomas’ high perch gives it a sense of stability. 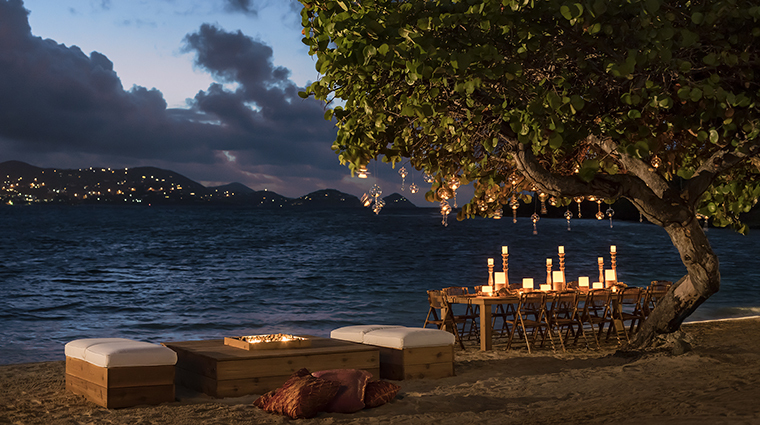 From rum-punch-accompanied check-ins and nighttime snorkel tours to the emotional goodbye drink at the bar, everything about the 180-room island treasure hums along with fluidity. 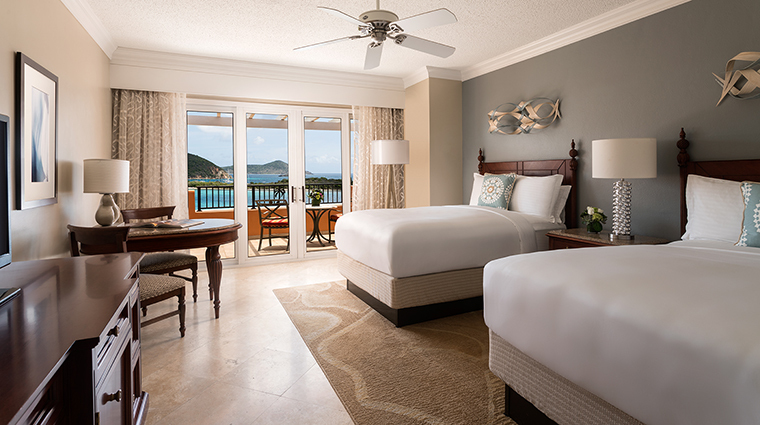 So, even though this property sits on a hill overlooking Turquoise Bay, a stay at this lush resort is a smooth, worry-free vacation swathed in luxuriousness. 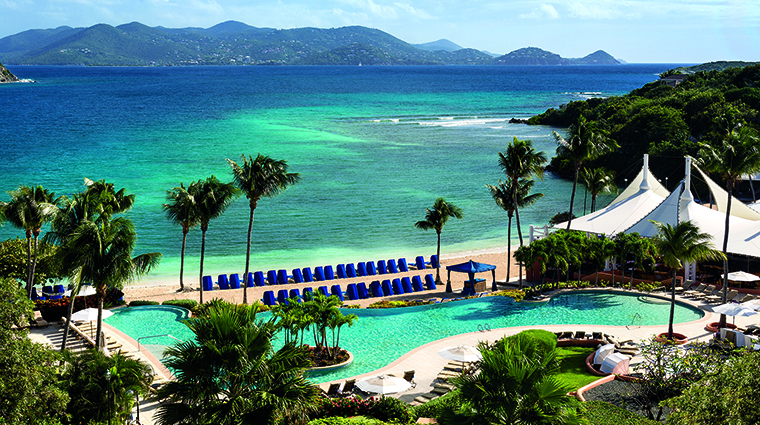 This tropical oasis offers the most beautiful backdrop for vacation photos. 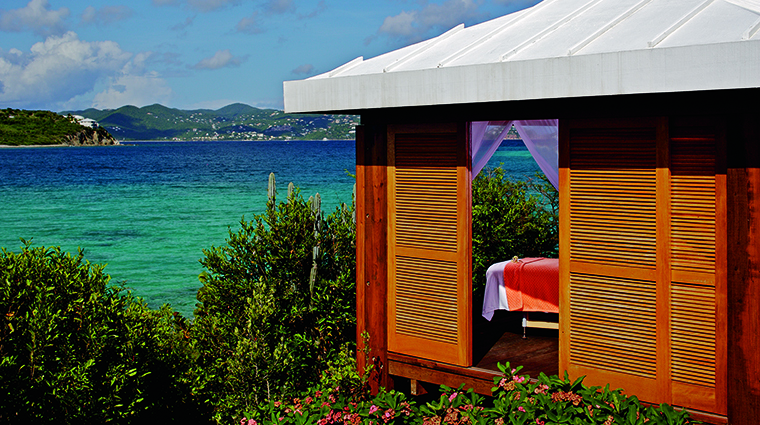 The beachfront hotel’s own 53-foot Lady Lynsey catamaran goes on excursions as far as Jost Van Dyke and St. John. 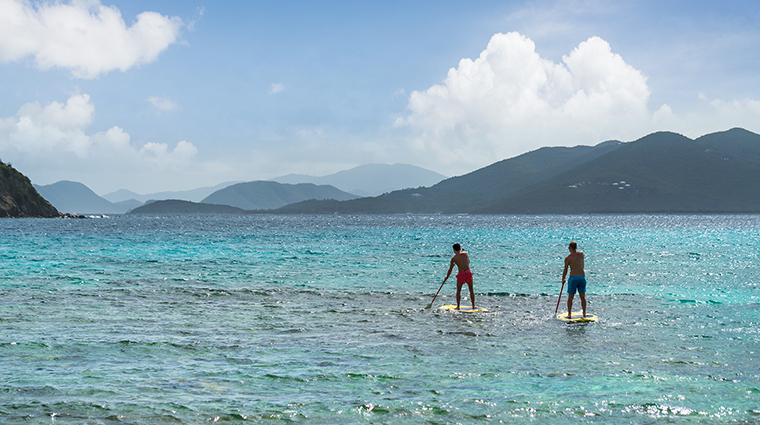 Head to the pristine Great Bay beach for windsurfing, kayaking and other water activities. 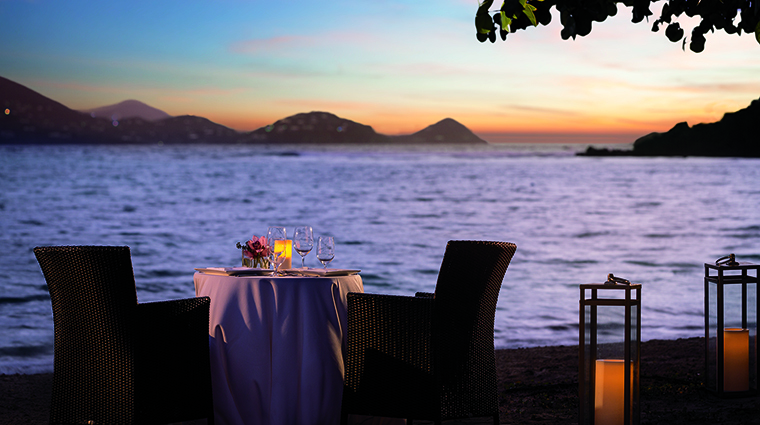 With the imbibing and dining, it’s a good thing that The Ritz-Carlton, St. Thomas offers so many ways to get rid of the carbs, too. 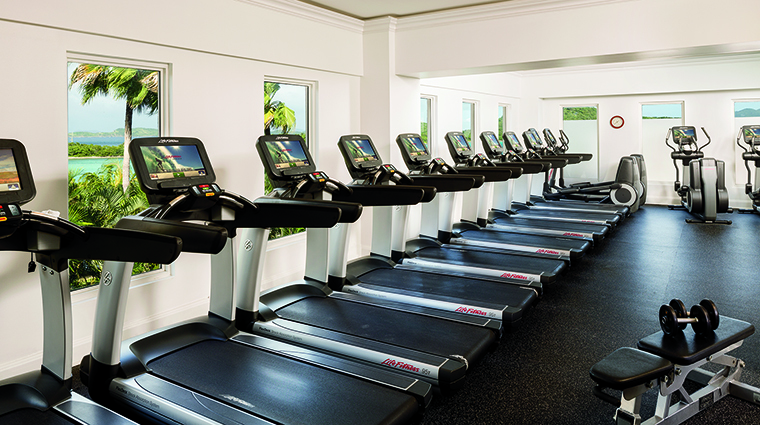 The 24-hour fitness center has all of the requisite workout equipment. 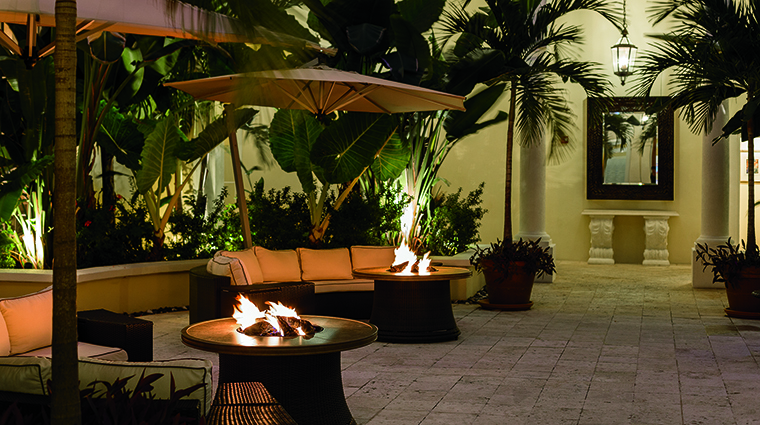 The Ritz-Carlton Spa, a calming center where you can not only have a watermelon, cucumber and aloe wrap but find the Éminence products necessary to replicate the suppleness back home. The fitness center provides a full class schedule that includes yoga and aquarobics. 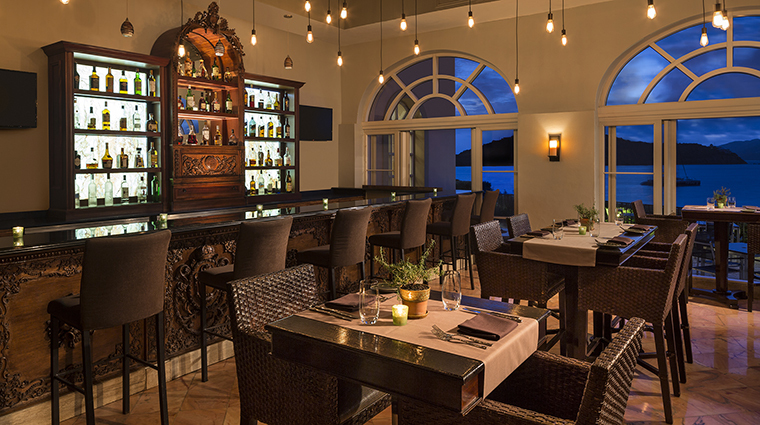 When visiting Essenza, be sure to request that Bert Belot, creator of the rum- and Kahlua-packed Bushwacker, make you a drink — concocted at the luxury hotel. 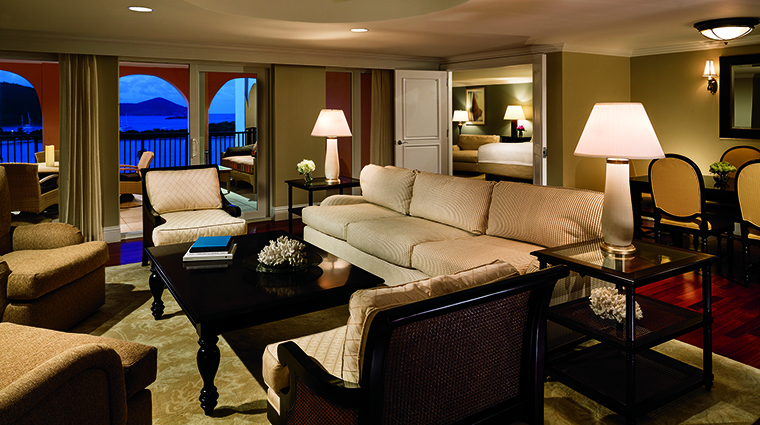 The family-friendly hotel’s Ritz Kids program offers fun activities like scavenger hunts. In the summer, children can participate in the Summer Eco Camp, exploring the land and wildlife of Great Bay. 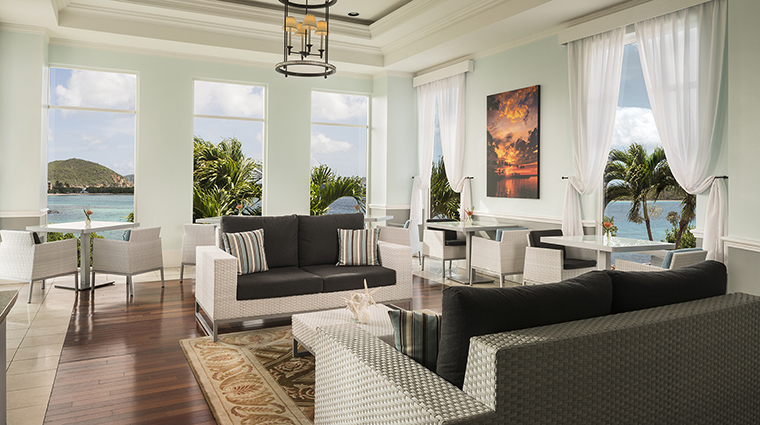 Instead of overwhelming the senses with clichéd colors of the Caribbean, rooms here are done in muted blues, grays and whites. They’re breezy without being boisterous. 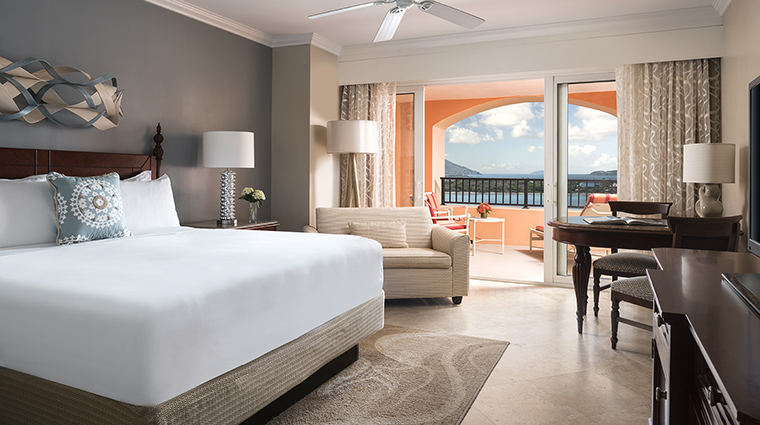 Renovated in 2014, the units, ranging from 450-square-foot Club Resort View rooms to the 1,850-square-foot Presidential Suite, are pleasantly equipped with 42-inch flat-screen TVs and Italian-linen-covered featherbeds. Still, the star here is the bathroom. 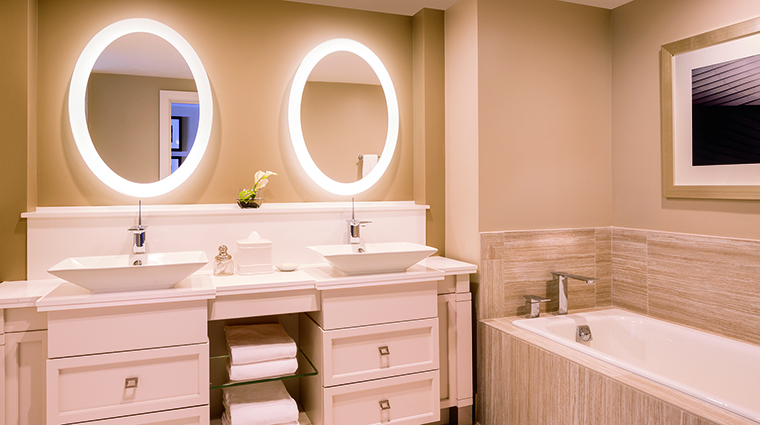 The sanctuaries have raised sinks, marble flooring and enormous showers. 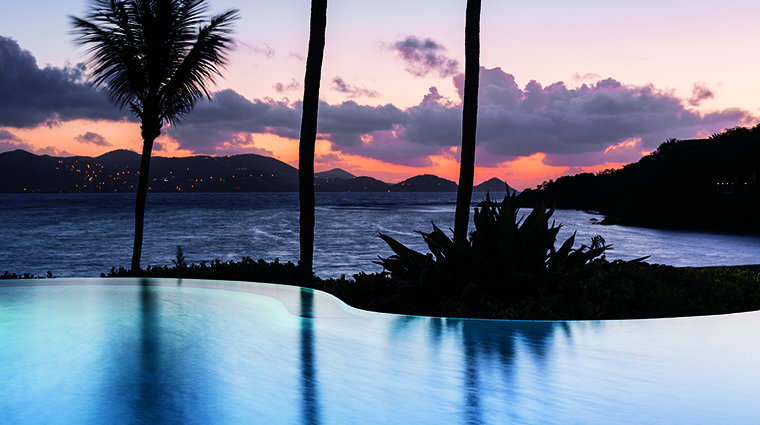 Private terraces overlook the glorious waters. 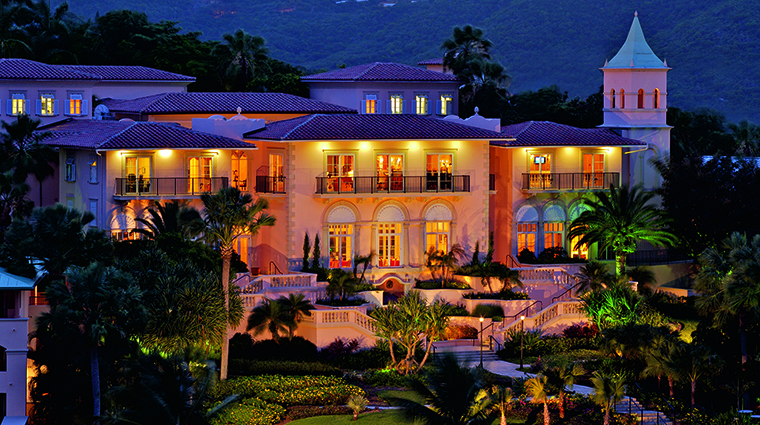 or lush resort ground. 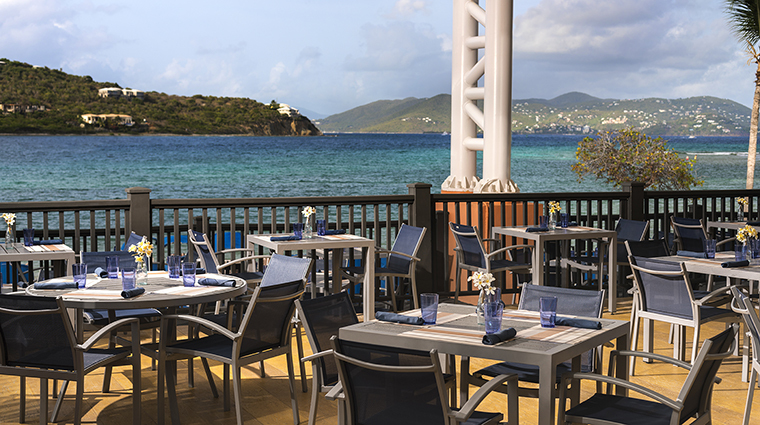 As much as the smell of roti and yellowtail snapper tempt from the U.S. Virgin Islands’ capital city Charlotte Amalie’s downtown area, there’s really no reason to ever leave the property for a meal. 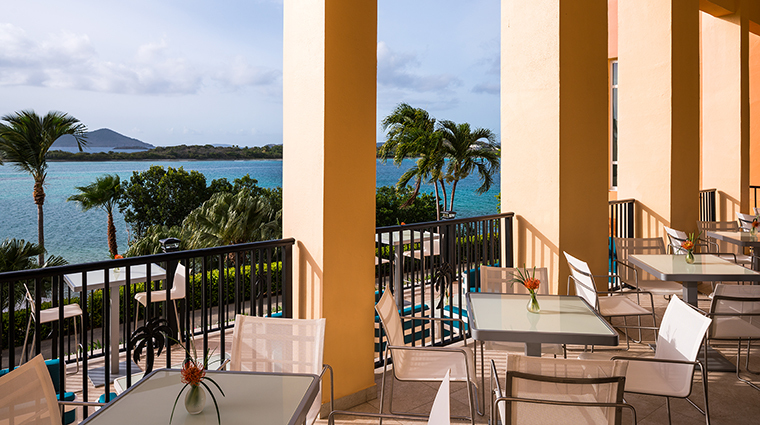 With so many tasty options at the St. Thomas hotel, it doesn’t much matter if you’re in the mood for a green pineapple smoothie (Zest), grilled lobster tail (Coconut Cove) or a generous cut of beef filet (Bleuwater), this resort is cooking what you’re craving. At the delightful Sails, you’ll find a fun, interactive program called Sea to Sails every Saturday where you can see the day’s catch come in off the boat. Snap a picture of the wahoo before chefs prepare it to your liking for dinner. That sense of service is also present at Essenza, the Italian-influenced restaurant under the guidance of chef Norm McPherson. 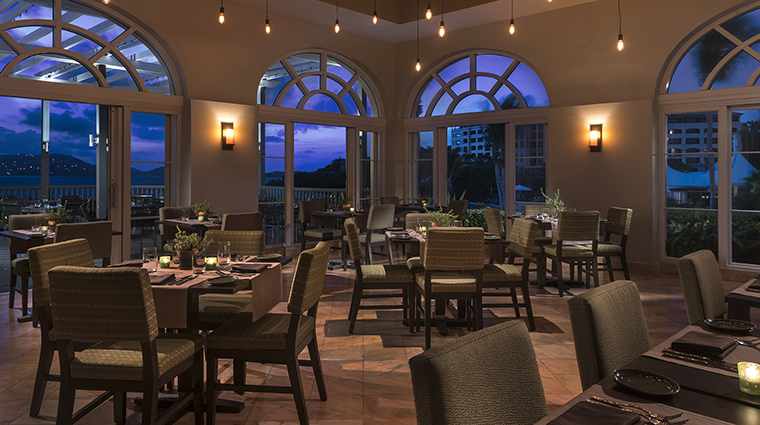 A Jamaica native who spent years sharpening his culinary chops in Europe, chef McPherson brings an island sway to caramelized pear and spinach fiocchi and beef carpaccio that never confuses the tongue.